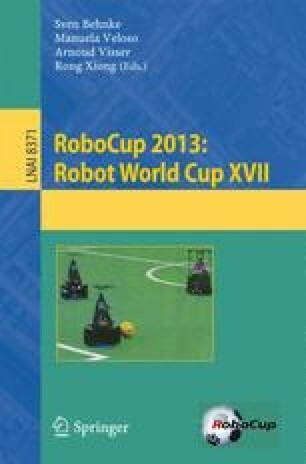 In 2012, UT Austin Villa claimed the Standard Platform League championships at both the US Open and the 2012 RoboCup competition held in Mexico City. This paper describes the code release associated with the team and discusses the key contributions of the release. This release will enable teams entering the Standard Platform League and researchers using the Naos to have a solid foundation from which to start their work as well as providing useful modules to existing researchers and RoboCup teams. We expect it to be of particular interest because it includes the architecture, logic modules, and debugging tools that led to the team’s success in 2012. This architecture is designed to be flexible and robust while enabling easy testing and debugging of code. The vision code was designed for easy use in creating color tables and debugging problems. A custom localization simulator that is included permits fast testing of full team scenarios. Also included is the kick engine which runs through a number of static joint poses and adapts them to the current location of the ball. This code release will provide a solid foundation for new RoboCup teams and for researchers that use the Naos.